It was a Political Scam All-Along! Now we know why Committee Democrats never asked Legitimate Questions during House & Senate Hearings. They ALL KNEW the TRUTH and LIED to the American Public to Cover-Up SPYING on a Political Party during a PRESIDENTIAL ELECTION!! 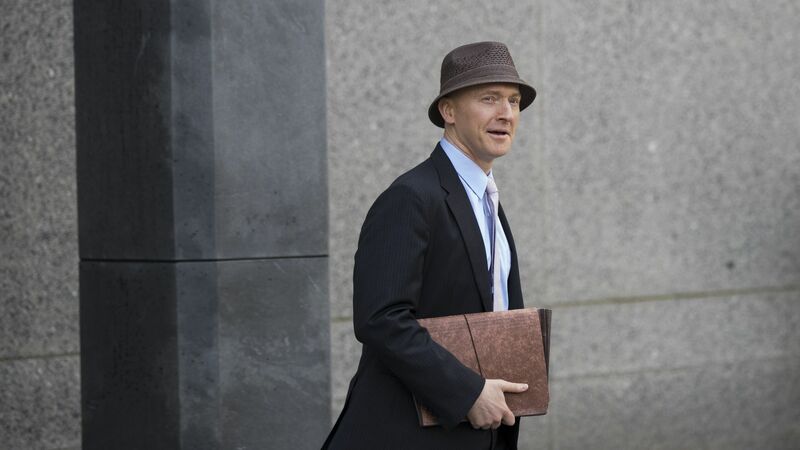 The Department of Justice has released documents relating to a FISA warrant against Carter Page, a former campaign adviser to then-candidate Donald Trump. Though heavily redacted, the documents show that the infamous Steele Dossier was a major component of the 2016 surveillance warrant. The dossier was also a major component in subsequent renewals. Based on what is visible, the dossier is not described as a political document, as the Democrats have asserted; rather the FBI speculates to the FISA court that it was commissioned to damage Candidate 1, who is Donald Trump. On page 16, the full quote reads: “The FBI speculates to the FISA court that the U.S. person was likely looking for information that could be used to discredit candidate 1’s campaign." Fox believes that the U.S. person is Glenn Simpson, co-founder of Fusion GPS, the opposition research firm that funded the Steele Dossier. Reacting to the document release, Page told Fox News, "I'm having trouble finding any small bit of this document that rises above complete ignorance and/or insanity." The materials released by the DOJ include an October 2016 application to the Foreign Intelligence Surveillance Court to wiretap Page as well as several renewal applications, the New York Times reported. It is highly unusual for documents related to FISA wiretap applications to be released. U.S. Rep. Adam Schiff, the California Democrat who is the ranking member of the House Intelligence Committee, said the documents underscore the "legitimate concern" the FBI had about Page's activities. Yet Schiff said the materials shouldn't have been released during an ongoing investigation because of national security. Schiff blamed Trump for making public House Republicans' initial memo about the FISA applications, a move by Trump that the congressman called "nakedly political and self-interested, and designed to to (sic) interfere with the Special Counsel's investigation." Earlier this year, GOP members of the House Intelligence Committee voted to release a memo claiming the DOJ abused the FISA warrant process in order to hurt Trump's presidential campaign, claiming the warrant against Page was based soley on the Steele Dossier, the Hill reported. Trump declassified the memo over the objections of the FBI, which warned that the document contained “material omissions of fact that fundamentally impact the memo’s accuracy,” the Hill report said.